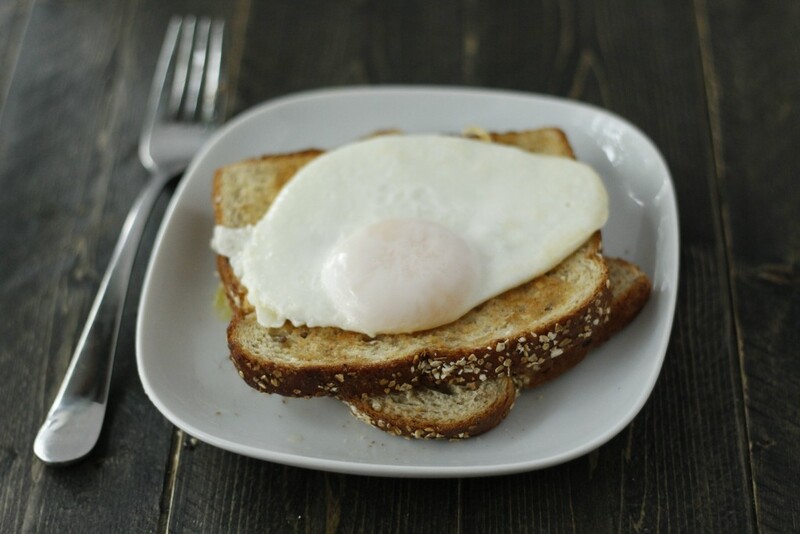 Are you in the over easy or sunny side up egg lovers club? I am. 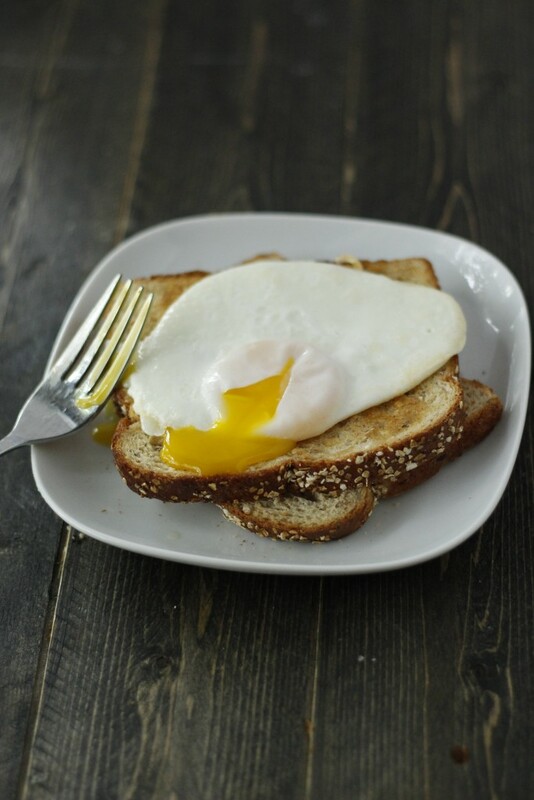 I love soaking up the yolk with heavily buttered toast. 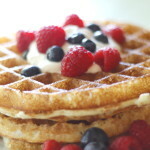 I think I could eat it every morning. If you don’t like runny eggs, then move along. 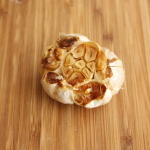 This technique yields a perfectly cooked egg without any fuss. The secret is combining frying and poaching. Using a super secret ingredient. The ice cube. The first sneaky step to a pretty sunny side up egg is totally optional, but leaves you with nicer looking eggs. I always wondered why chefs and restaurants eggs were not all jaggedy but little perfect ovals. This is how. 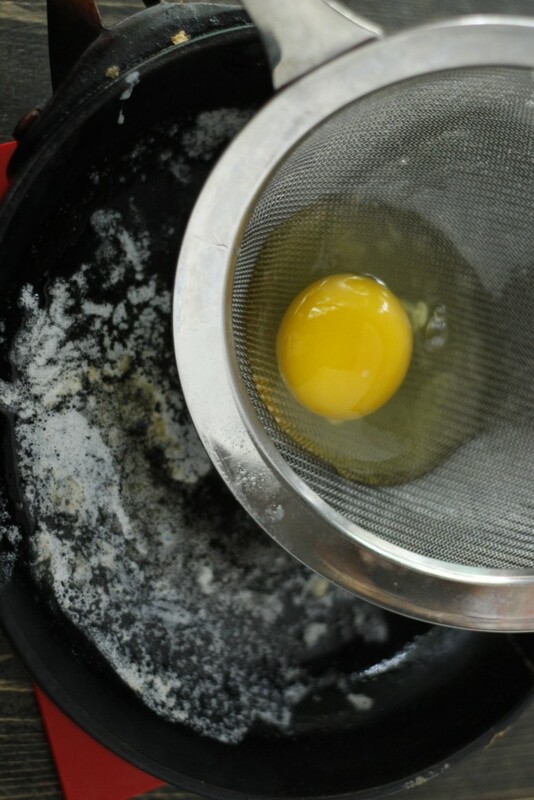 Use a fine mesh strainer over a bowl and break one egg at a time in the strainer. Swirl it around gently. 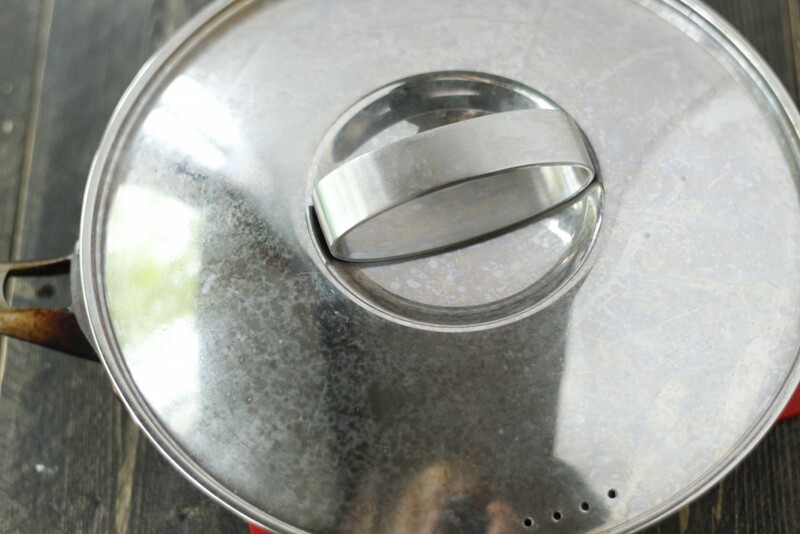 You don’t want to use a strainer with large holes, because the entire white will strain through. 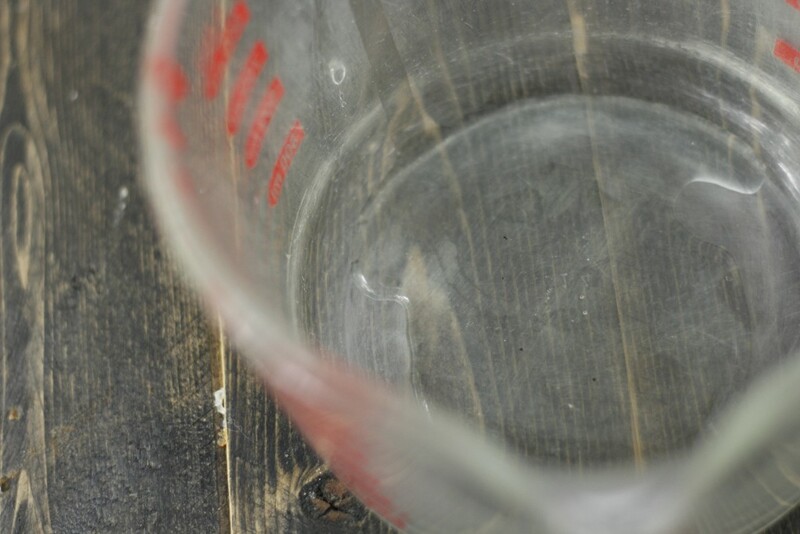 It is hard to see, but there is a more watery portion of the white that escapes through the strainer. 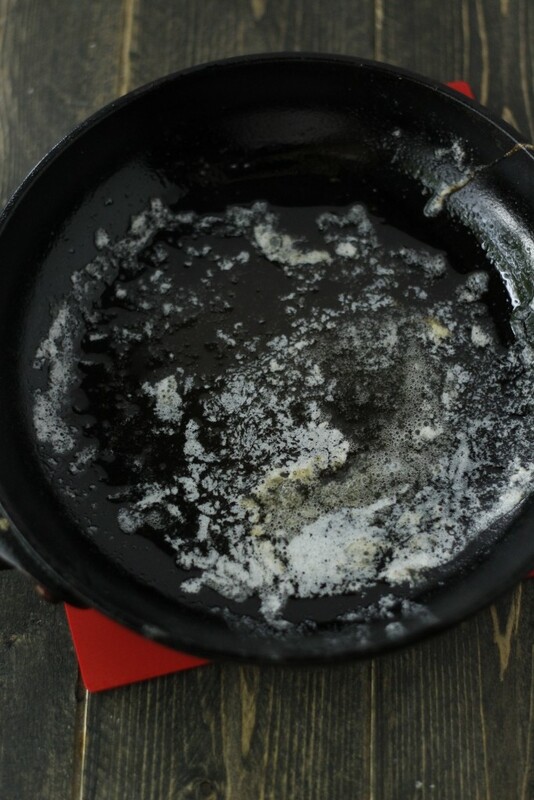 That watery part of the egg white is what spreads out so much in your pan and makes jaggedy looking eggs. The thicker white holds together better. Newer eggs generally have less of the watery stuff. But not always. Again, this is totally optional. 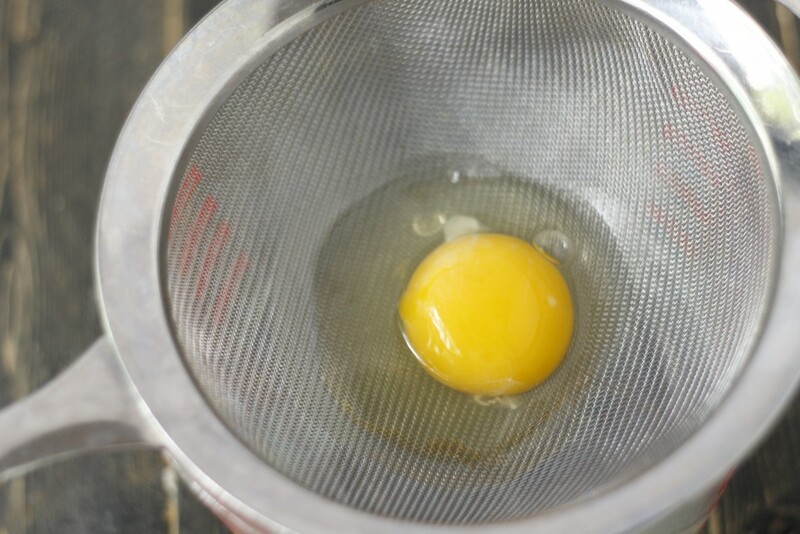 Carefully pour the egg from the strainer to the pan. 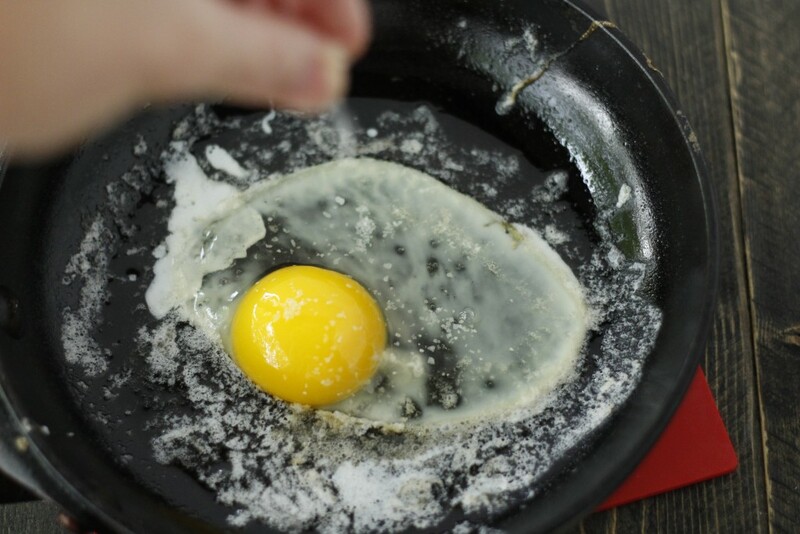 Sprinkle a pinch of salt over the eggs. 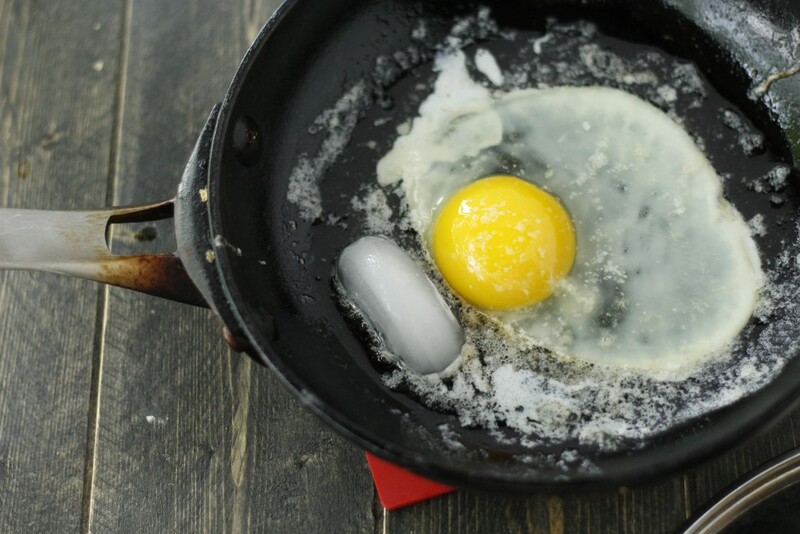 Take 1 ice cube and place it in the pan, not on top of the egg. 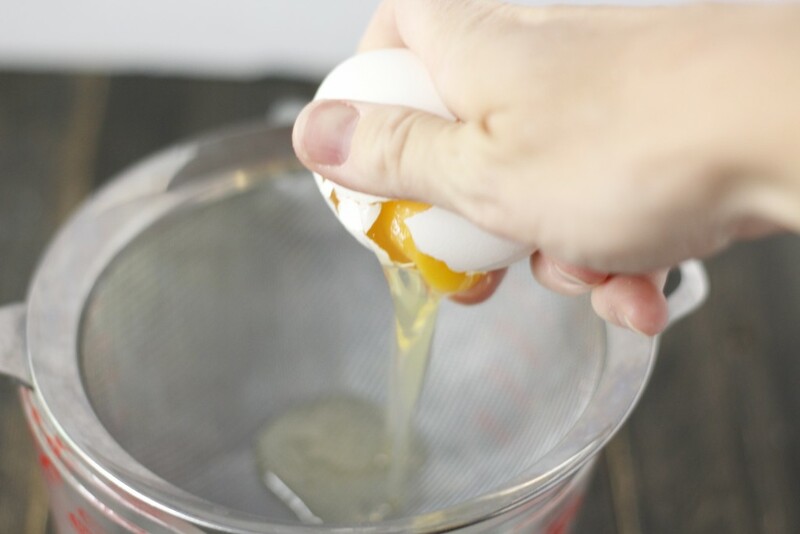 Carefully remove the egg and serve. 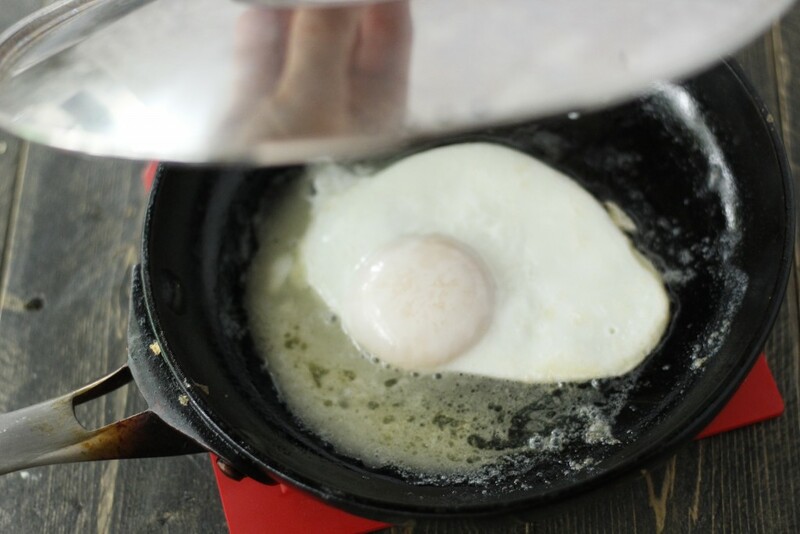 You can do more than one egg at at time, if your pan is bigger. Use more butter, one ice cube per egg and work quickly. 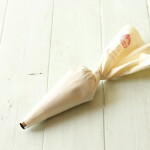 They might run into one another and be a little less gorgeous, but will taste the best. 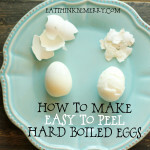 You will probably want to quickly wipe out the pan between eggs if you are going to make a few in a row. Thanks Emily for suggesting this technique, it has improved my life immeasurably. I hope it improves yours today. Have a Sunny Side Up day! Awesome Anita, this is exactly how my mom has always made eggs except she just used a little bit of water instead of an ice cube. I just had a froached egg this morning. 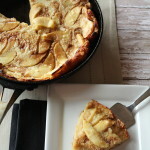 this is how I make them almost everyday for myself. I never strained the egg first maybe I’ll do that some day to be fancy. Hope you are doing well. I make eggs nearly the same way, but just use water instead of ice. My mom taught me this method and I’ve taught my children. I haven’t used the strainer before so I might have to try that step. Glad to know we aren’t the only ones that like runny yolks!